What’s the difference, and how does gold fit into the picture? At Birch Gold Group, we receive a lot of questions from people who are unfamiliar with other retirement savings options beyond their 401k. Many of them understand the importance of diversification and the unique benefits of gold. But when it comes to a Precious Metals IRA, a “gold 401k” or basically any other type of account that differs from their employer-sponsored plan, they aren’t quite sure what their options are. Saving for retirement is one of the most important things you can do for your financial future, regardless of your current age. So it’s essential that every saver understands their options and how to ensure their money will be there when they need it. What’s the difference between a 401k and an IRA? A 401k is an employer-sponsor retirement plan that allows you to contribute a portion of your wages to a tax-deferred retirement account. This means your contributions are excluded from your current taxable and that you don’t have to pay taxes on the investment gains until you withdraw from your 401k in retirement (unless it’s a Roth 401k, in which case your contributions are counted toward your taxable income each year and your qualified distributions in retirement are tax-free). The investment options of a 401k are generally limited to a handful of paper-currency backed assets, such as mutual funds, bonds or company stock. 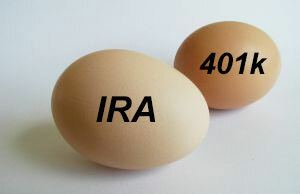 An IRA is similar in function to a 401k, but unique in that you can open the account on your own, regardless of the retirement plans offered by your employer. With an IRA, you typically have many more investment options to choose from, although the annual contribution limits are lower. There are two broad classifications of IRAs. A traditional IRA allows you to make pre-tax contributions, in which your investments grow tax-free until you take distributions in retirement, while a Roth IRA allows you to contribute taxable income and take tax-free withdrawals. What about a Precious Metals IRA? A Precious Metals IRA offers even greater flexibility and additional investment options that aren’t available in most 401k plans or conventional IRAs. It combines the great tax benefits of a retirement account with the unique benefits of owning physical gold or other precious metals, such as silver, platinum and palladium. You can acquire these metals for your Precious Metals IRA through a variety of coins and bars from around the world that the IRS has approved for use in a Precious Metals IRA. With a Precious Metals IRA (also sometimes called a Gold IRA), you can also diversify with a wide range of other investments, beyond just precious metals. You have the option of adding stocks, mutual funds, real estate, mortgages and other asset types, providing you with even greater diversification opportunities than most other retirement accounts allow. You can even set up your Precious Metals IRA as a Roth account. If you have an eligible 401k, you can rollover funds into a Precious Metals IRA. (The term “Gold 401K” is often used to describe this rollover, since you’re essentially buying gold with 401k funds.) If your 401k is active with a current employer and cannot be rolled over, you still have the option of opening a Precious Metals IRA as a separate account. Request our Free Investment Kit to learn more about the benefits of investing in precious metals for retirement, or call us at (800)355-2116 to speak to one of our Precious Metal IRA Specialists.